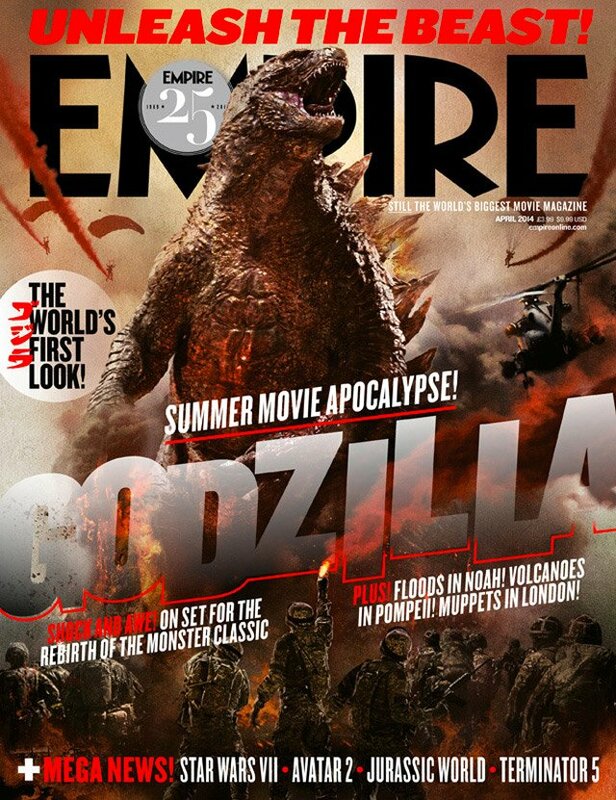 Empire has another awesome cover image celebrating the release of the 2014 Godzilla remake with this awesome subscriber-only cover showcasing the King of the Monsters. This time we see Godzilla in all his glory as he battles an army trying to stop his destructive rampage. Godzilla arises from the depths yet again on May 16, 2014. This new Empire issue goes on sale today, February 27.